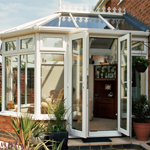 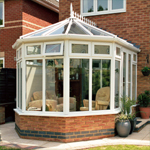 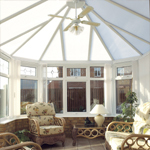 Individually designed using the latest computer technology and built to the highest standards of craftsmanship, you can be sure of the most hard wearing and secure conservatory, with a 10-year guarantee. 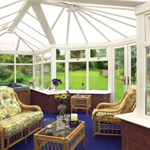 Get all the benefits of energy efficient double-glazing to keep your home warm in winter and cool in summer, and PVCu frames that combine traditional beauty with low maintenance. 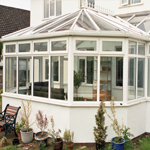 Choose your dream conservatory from our range of classic styles: Elizabethan, Regency, Edwardian, Victorian, Combination or Garden Rooms. 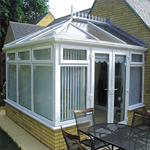 All tailor-made to order, you can personalize your design from hundreds of features, colors and glazing options. 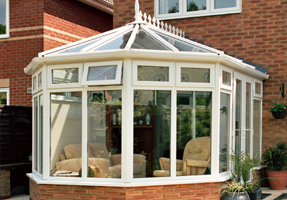 An affordable investment for your home, we’ll make sure you get the best value for money.